Australia: Federal parliament inquiry into halal certification?. You are here: Home » G-20 News » Australia » Australia: Federal parliament asked to support an inquiry into Halal certification of food. Australia: Federal parliament asked to support an inquiry into Halal certification of food. Coalition members are seeking an inquiry into the way food is certified as halal. Halal food has been prepared according to Islamic law, and is free from pork products, alcohol and other specified ingredients. Companies seeking to label their foods “halal” – an Arabic word for “lawful” – must pay fees to Islamic organisations for inspection and certification. 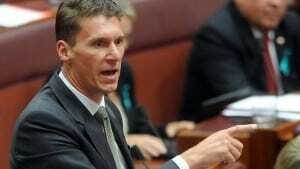 However, Liberal senator Cory Bernardi said there was a lack of clarity around halal certification. “I haven’t been able to ascertain what the cost of this religious tax is to individual companies or the overall cost to the Australian consumer,” Senator Bernardi said in a statement. “No one has been able to explain why water, milk and cat food need halal certification. Liberal National Party MP Bruce Scott, who chairs a parliamentary committee looking at exports to the Middle East, said halal certification was crucial to jobs in rural and regional areas. He said his coalition colleagues were not opposed to halal certification but wanted to ensure the process was above board. “The old saying is ‘the buyer is always right’. We’ve got to make sure that we’re meeting buyer expectations and requirements for the export into those markets,” he told ABC radio. Australia exports more than $3.4 billion of processed and unprocessed food to the Middle East each year.